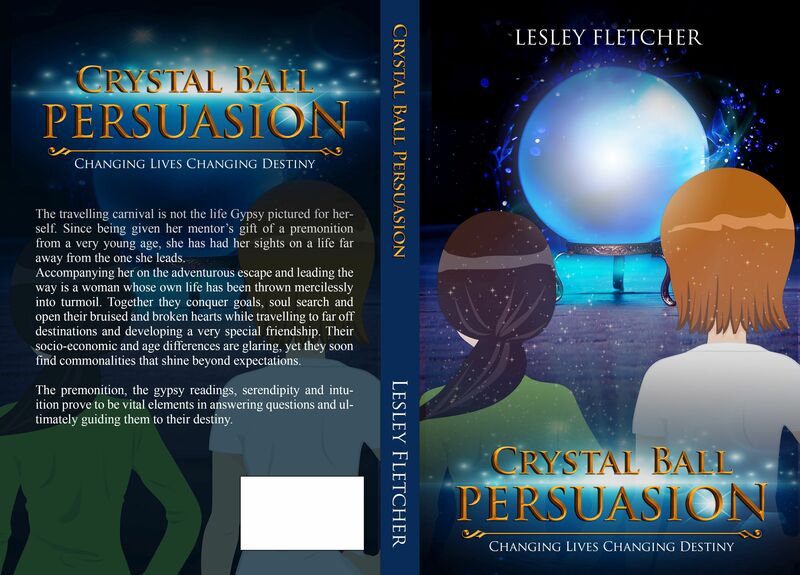 Now that I have completed my novel, CRYSTAL BALL PERSUASION (YES! ), I feel ready to talk about one of the most hindering emotions that plagued me for a few months at the very least. I’m not afraid of writing, in fact I’m not afraid of very much at all, but in this case I was afraid. Afraid of one single chapter. It was an important one. If I didn’t address it then I would have to re-vamp or scrap my entire book and that was not an option for me. So I skipped over it to get back to ‘later’. I had one letter, one chapter and the final chapter to write. I filled in my time with freelance writing, convincing myself that I needed the money to move forward with editing fees, promotion and other marketing. Christmas holidays, vacations, health and other peripherals came in as handy excuses too. And then I wrote the final chapter. The book was everything I had hoped for except for that one elusive chapter. I spoke with friends and acquaintances about Iraq (one friend suggesting that it need not be factual to the extent I thought it should be (for shame!! 🙂 )- a country I have never visited nor knew too much about. I read about it, I knew exactly how many security points there were from the airport to downtown, the number of bombing per _____, Google mapped it and studied all terrain, looked up hotel reviews, listened to music from there, took a virtual tour or two… I learned about the war (2006-ish), joined a FB group, followed Facebook pages run by veterans, researched suicide stats – the works. And yet I still FEARED writing it. Fear has to be the number one reason for ‘writers’ block’ at least it is in my book. I have read many blog posts and articles that support this theory and now I know first hand because I am living proof. Fear is a dreambuster and once I pinpointed it as such, I fought tooth and nail to beat it. How did I get over this fear? By combining hours and hours of research and then not actually using it specifically. It all simmered for so long that what surfaced was not the facts and the stats, but the aura and essence. I asked myself to sit down and start. I was polite about it. I bargained and reminded myself that without that chapter the book would have to be shelved in its almost entirety and my work would never see the light of day. That last bit was a threat and a promise. And I buckled to my request. So I set about writing the chapter that was not at all about Iraq afterall. It was about an event or two that just so happened to take place there. Seeing as it has the largest, most expensive US embassy in the entire world, that seemed like a perfect place to start. All I had to do was look at a couple of hundred photos and get a feel for the numbers, layout, security … I jest – but not really. And it happened. The chapter was done and that’s when I realised that it was a pivotal point in the book as well as a jump point to the rest of the story. And that was actually my biggest fear, but I very honestly didn’t know it until Chapter 10 was in the bag. By the way, it is fantastic and better than I ever could have written had the fear not been prevalent for goodness knows how many months. A type of corporate bankruptcy filing in the U.S. Chapter 10 bankruptcy is restricted to corporate debtors, and is intended for situations where a major restructuring or reorganization is necessary. However, it is not available in cases where a Chapter 11 bankruptcy filing would suffice. Fear so often gets in the way of fulfilling what we are or want to be. And fear of the unknown is almost the worst. Great that you were able to move on. Thank you. It is always a work in progress, but once the formula is set, it becomes easier to navigate. Fear is paralyzing. Congratulations for moving through it and on your novel. Thanks. Now comes the hard part for real! O my, I’m battling with a similar something – a long part that belongs elsewhere – I know this but cannot get past changing it. It’s the very last part that needs doing. I wonder if it is fear of completion … I suspect so. Thanks Lesley, this is extremely synchronistic for me. I feel for you. A solution will be sure to surface. Give it up to the universe if all else fails! Fear really can freeze us into immobility, Lesley. I’m glad that you found ways not to ignore your fear, but to accept it, own it and get through it. We all have fears, but I like it that you didn’t let yours define your novel. Fear and not being able to pinpoint it exactly. I think half the battle is identifying that which rules your psyche.